We have our most extensive ever Market Report for which we’ve made available to share with you for this IFEAT Conference. Covering over 80 products form over 20 counties this report will all you need to know for the week ahead. Please print your copy and bring it along with you to Colombo! For those not in attendance this year you can rest assured that Ultra will keep you well informed of what’s going on during this important industry event! So keep visiting our website for regular updates!! Demand has been increasing in recent weeks after a quieter period since July. During this time markets have remained stable with producers seemingly happy with the current export positions. The final fruit crop this year was around 1.2 million MT, a significant increase on 2014. However that increase didn’t have the type of downward price effect on the market some had originally predicted. Much of the crop was pre-sold to major end-users and with supplies remaining tight from other origins prices have remained firm but stable. Over the past 40 years Argentina’s processed lemon volumes have increased significantly decade on decade, from an average annual volume of 80,000 MT in the 1970s, to 200,000 MT in the 1980s, to 540,000 MT in the 1990s and 900,000 MT since 2000. This is why today its contribution is very important to our markets. Production has re-started after a 2-month shutdown for relocation works, which will increase capacity over the coming months. Although there is a small backlog to overcome it isn’t thought that this will cause too many delays. Wood availabilities remain good. Supply is just managing to keep on top of the growing demand for this product, despite recent improvements to the production facilities aimed a increasing capacity. Prices remain stable. Supplies remain in short supply as demand continues to rise as the relative poor economies involved in producing this oil remain restrictive. There are noises of some new investments, which the market would welcome, but any benefits would not be short term. Expect supplies to remain firm for the foreseeable future. Production has been slow throughout the winter with wetter than usual conditions preventing harvesting. New distillation equipment at one major producer will help improve capacities over the coming months with harvesting set to start late October. New wild harvesting of this tree will start on Flinders Island (near Tasmania) in the coming weeks bringing more supplies into the market. 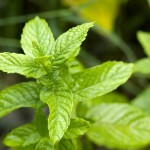 Recently this essential oil has found its way into a number of boutique products in the cosmetic and aromatherapy markets while the it is hoped that the new production will attract new users from the fragrance sector. There are good raw material stocks available at origin, which can be processed anytime to keep up with growing demand. 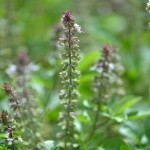 There has generally been a good uptake from the market with more and more brands and end-users finding novel ways to include the benefits of this oil in their personal care or healthcare products. Prices have stabilised at record high levels as it appears supply is limited and demand continues to increase. There are contradictory stories of this in the market and many believe this is the work of one group’s decision to deliberately cut off supplies to force up market prices in the short-term. The better news is that more supply options are coming and the first should be seen in quarter 4 this year, albeit on a small scale. It is widely expected that in the first half of 2016 a new major producer will come online with their own sustainable oil from plantation wood. This should in turn bring market prices down to more comfortable levels. It is also expected that the introduction of new suppliers will improve the quality of material we are currently seeing today. There is evidence that santalol levels of spicatum as a market standard have fallen in recent years to the bottom of the ISO requirements, perhaps a result of a lack of competition rather than a shift in raw material qualities. 90% of this year’s harvesting is complete and generally farmers are reported to have had a good crop. 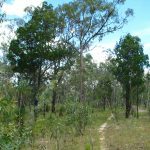 Good farming practices have resulted in approximate 15% gains in the growing regions of Port Macquarie and Casino, but other areas remain unchanged. Some producers are reporting significant increases in yields but overall we expect the number to average around 10% (an extra 50 MT of oil this year). It appears most producers are now sold out for the year, so one would expect price increases in the final quarter of the year and the 1st quarter of next year. This seems to have been the pattern in recent years as demand and supply are finely balanced. 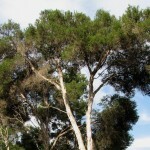 In local price terms the price of tea tree has increased. However, the weak Australia Dollar is masking this to such an effect that export prices now seem lower. This is unlikely to remain so it is worth taking advantage of current price levels. We would recommend that if you haven’t yet covered until the 2016 season (June 2016) you take the necessary steps over the next few weeks to do so as prices will not soften. Capacities are slowly increasing and availability is improving after a wet period during June/July. 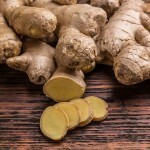 There continues to be a growing interest in this for fine fragrance applications with the Far East market particularly receptive to its unique character. Prices softened slightly in recent weeks more due to a reaction to a quieter period during the holiday season rather than for any major change in market conditions. The last season’s output was still considered disappointing and combined with more suitable fruits than usual for the fresh market, processing volumes have been relatively small. Brazil produced between 240-250 MT this year, still smaller than Mexican production. However, with Mexico’s overstocked position on lime juice becoming a problem we could see Mexico produce less over winter, which may again put new pressure on the market. The picture remains fairly sad with no good news to report. 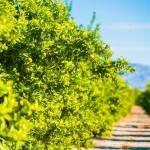 As previously mentioned, the crops are suffering due to the presence of Citrus Greening (HLB) and the heavy rains that caused a lot of blossoms to fall earlier in the year. In addition, late rains in July delayed harvesting, which has been attributed to this year’s El Nińo event. We expect around 245 million boxes to be processed this year, down from 290 million in 2014. The incidence of Huanglongbing disease (HLB) has expanded by 159% in Brazil’s citrus belt over the past three years according to the results of a new citrus disease survey announced by Brazil’s Citrus Production Defence Fund (Fundecitrus). Greening is now present in nearly 18% of the orange groves in São Paulo state and the regions of Triângulo Mineiro and south-east Minas Gerais, which jointly form the citrus belt. This corresponds to 35 million sick plants in the field, including 44% with severe HLB symptoms that can cause a fruit production loss of around 50% due to smaller fruit size and premature fruit drop. The most affected micro-region is south São Paulo and its sub-regions of Limeira, Porto Ferreira and Casa Branca where around 42.5% of plants show HLB symptoms. Central São Paulo, which encompasses the sub-regions of Matão, Brotas and Duartina, follows with 23.5% of orange trees affected. The results were obtained from a survey of a stratified sample of 24,200 citrus trees in the entire citrus belt, conducted in June and July. Fundecitrus also revealed that the incidence of citrus variegated chlorosis (CVC) fell by 82% since 2012 when Fundecitrus conducted its previous survey. Currently only 6.77% of citrus trees show symptoms of CVC, down from 37.57% in 2012. The season is over and the output was very good in comparison to previous years, but to what extent is hard to predict. Contradictory numbers from different source confuse the picture, especially when it seems the market has absorbed most of this production with some now struggling to find good quality oil. Interpreting the numbers we estimate production at between 140 MT and 150 MT but some say it’s higher whilst being unable to substantiate this. If these interpretations are correct then it will be a 30-35% increase on last years figures, which will help the global position as the market lost volumes from elsewhere this year. As a result of the crop, prices have remained stable. Some buyers were able to take advantage of some early crop offers but as time settles and volumes subside, prices are now starting to rise again. There is little to no material currently available in the market, which is forcing prices upwards from those traders fortunate to have stocks. The Bulgarian crop ended with up to 50% less petals than in 2014, which yielded approximately 650-750 kilo of oil. It is too early to see if there will be any lasting damage to the plants ahead of next year’s crop but it is clear to see that between now and then finding sufficient volumes will be a challenge. Prices have been low and stable since early in the year and remain so despite being out of season. The second crop, which starts mid-October, generally yields better quality oil with some buyers waiting on this quality before securing their 2016 contracts. It could be that this quality commands a premium but it is still expected that material will be available for the foreseeable future at today’s low price levels. The season is ending late September but whilst output has remained constant the quality has been a problem. This, along with competition from Indonesia, has slowed exports down in recent weeks. There is some pressure on supplies due to the high rain levels over the July harvest period, which in turn has added around $0.50 – $1.00 /kilo to export prices. This is likely to continue to pose problems until later in the year when more harvesting begins. There is strong pressure on supply at the moment and this is only likely to get worse as we move further away from the season, which finished in June, with prices increasing month on month. The market price has fallen 15-20% since the turn of the year but that downward trend seems to have slowed as the season comes to a close. This time last year prices stabilised and it is thought that this year will be a similar story, tracking just a few dollars under last year’s prices. No change from July with stocks at origin still low. Most factories are only producing against firm orders, which are increasing lead-times and keeping prices stable. This is expected to continue for the rest of 2015. Price remains relatively weak during this stage of the season as output is larger than last year. More planting was done in 2014 and today we are seeing the net result of this. That said, it is unlikely that prices will fall much more as there are no signs of a major oversupply and with the season ending in October, material has to suffice until July 2016. Markets are stable and there is good supply. The weak Australian Dollar has meant generally that export prices for Australian oil are cheaper in US Dollars, which in turn has a downward impact on demand for Chinese oil as it is primarily used for blending with Australian oil. When Australian prices are high demand for Chinese oil increases as it’s a cheaper alternative for some applications. The short summer season closed on August 15th. Although productive, the total volumes produced are unlikely to keep the market satisfied and with a government ban on harvesting at all other times pressures will remain on the market for the foreseeable future. Currently limited stocks are available but are unlikely to remain available for long. Production is thought to be down between 40-45% as a result of the shorter season. The first cut from the new season was in August with disappointing results. Yields were low due to an unknown disease in the plant, which has put an immediate stress on supply. The second cut will be ready early October but this isn’t expected to bring much relief to the market with prices already rising. There are some stocks still available from the 2015 crop but they are reducing with time and it is expected that prices will rise on the back of the decreasing volumes available. This is likely to be the pattern until the new crop in March/April 2016. Limited stocks remain available after the crop earlier in 2015 but remain higher priced than those from other origins. That said, with other origins now sold, the market might be more prepared to accept the prices from this origin. This remains stable with the general balance in the market being good and any price increases are unlikely at this stage. It is again worth noting that other ‘cheaper’ qualities continue to be sold from some Egyptian producers/traders at prices around 20% under today’s market. We feel if you are paying under our guide price you may not be buying pure oil. The new crop is over and supplies are very healthy. As a result, prices have dropped as exporters look to get any small advantage over their competitors. In general, it is thought the global market for geranium oil contracted last year. Today you are sure to be able to pick up a good price but as always you should be conscious that this product has a history of speculation so the dynamics can change any time. Enjoy this one whilst it is available. New crop is available and in general the yields were satisfactory. That said, demand remains firm and prices have again started to rise and are expected to continue to do so over the coming weeks. Supplies are limited as we’re off-season at the moment with little oil being produced this year due to weak demand. This one can be summarised as ‘crazy’! Prices had already been firm and speculation leading into this year’s harvest suggested problems with the crops and higher prices to follow. They weren’t wrong! After the drought in spring the flowers never really developed and the hot summer just compounded the problems. Total output is thought to be around 18 MT, down significantly on expectations. Today demand is extremely high and prices are following that trend. It is expected by mid-October all quantities will be sold and to the highest bidder. After a promising start the 2015 crop ended with lower than expected yields, primarily due to the high temperatures experienced during summer, meaning the harvest simply could not be finished in time before some loss of yield. Overall it is anticipated that the crop is around 1,050 tons, down 5% on 2014. Prices from the farmers remain similar to those of 2014, although due to some increase in manufacturing costs there has been a small increase in price. Prices in the market are now firming with availability reducing as a result of increased market demand. The crop fell short of expectations leaving the market looking for oil. As a result the farmers commanded higher prices to compensate for the yield losses causing the end-user markets to firm quickly. Supplies are likely to be exhausted in the coming weeks. 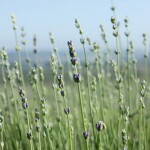 Generally it was a good season for lavender in France with some species reporting a 20% increase in yields. For Maillette the news wasn’t as good but it is thought that there will be no less oil than last year. As always demand for pure French lavender remains firm with prices stable or increasing slightly on 2014. There are limited stocks available today with prices stable. The season will commence late November and last until late January where it is expected availability will improve. The market is currently stable but with output much lower than last year, any spike in demand could see prices rise. There was a deliberate effort to produce less this season as market demand and with it prices, had fallen. We’re off-season with no real availability at source. This will remain until the new season which starts in February 2016. This year’s crops have been poor, down almost 30% on last year, which is causing inferior qualities to become more available in the market. Buyers need to remain vigilant on qualities and compare like for like when reviewing quotations. Prices for good quality oil have risen and may continue to do so in the coming weeks. Supplies are stable with market interest growing. The current economies with this origin mean that prices are a little higher than other more conventional origins but it should be said that this is a superior quality to some origins and given recent investments a future increase in supply could see the Indian quality be more competitive soon. Prices have now been stable for a few months and are expected to remain so for the foreseeable future. Supplies are healthy and for reasonable volume shipments there are some good prices to be seen. Market demand has been fairly flat which in some ways could be seen as positive. There was less planting last year but after a disastrous crop, which yielded 40% less than expected, there would be an immediate pressure on prices should demand return. This one looks finely balanced so it is recommended buyers cover their requirements sooner rather than later to ensure they don’t pay a premium later in the year. The crop has been lower than 2014 by round 35%, returning total output to the levels of 2013. Demand has been constant with no major changes expected in the near future. Raw material supplies have started to return albeit slowly, with a small waiting list of those looking to secure fresh oil. As a result, prices remain firm and are expected to remain so for the immediate future. The local currency is supporting Indonesian exports of citronella along with some additional volumes available from the domestic market. The global market has recently woken up to this and demand is shifting from Chinese to Indonesian origin. 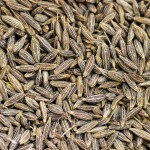 Supplies are a little slow due to the clove bud season being in full flow, limiting raw materials for oil processing. That said, local producers are keeping up with current demand and with the favourable exchange rates, export pricing looks favourable to international buyers. Our advice is to take advantage of the exchange rates and plan your Q4 shipments now. It is estimated there is in excess of 440,000 hectares producing around 80,000 tonnes of clove buds, predominately in the islands of Java, Sulawesi and Sumatra. Securing raw materials remains very challenging with any available supplies very expensive. It is unlikely we will see any reprieve from this situation for the foreseeable future. Prices now appear more stable at these very low levels as supplies slow down in response to the new market price levels. As previously discussed, whilst offering an attractive situation today for many buyers the long-term situation could be somewhat different with current low prices discouraging farmers and investors from future plantations. It is expected that over the coming months the market will find a new balance and with it a new ‘normal’ price level. Given some of the attractive prices available today it could well be that prices will rise not fall into 2016. Indonesia exported around 350-400 MT of oil in both 2013 and 2014, which accounts for around 80% of global production. Export prices have fallen primarily due to the exchange rates rather than the actual raw material prices at origin. The prolonged dry periods have reduced supplies and locally prices are actually rising. As a result of the poor yields some farmers have opted to harvest younger plants, which is now yielding poorer qualities of oil. The overall situation looks finely balanced as traditionally August/September represents a good time to buy ahead of the traditional rainy season starting in November. If raw material supplies continue to slow, we could see prices start to climb. To what extent the global market sees this will depend on how the local currency performs against international currencies. Raw material prices remain very high and continue to increase. Total output has been low for a few months keeping pressure on the market. If it wasn’t for the favourable exchange rates the export prices would be even higher and whether it is a swing in the exchange rates or the continuing lack of raw material availability, it is safe to say that this oil continues to rise in price and will remain difficult for the foreseeable future. It is hoped that the prices that can be demanded by the local farmers will encourage others to reinvest in new plantations but this will take time to yield any positive results. We are still in the closed season with the winter crop commencing early November (depending on weather conditions). Whilst there has been little available information as to the conditions of the trees and fruit there is known to be a high demand in the market for fresh fruits which is likely to keep prices high at the start of the new season. At this stage we expect some stability in the mandarin market although it should be noted that in general the hot summer has caused some damage, which is likely to have an impact. To what extent it is too early to see. Although it is a little early to predict it is hoped that the new crop will provide us with some relief after last year’s disappointing output. Down around 45% on 2014, this year was particularly bad but we are hopeful that come February/March 2016 there is better news for us all. In general, 2015 has been a reasonable year in terms of output and most recently, in July and August, more fruits available than normal. However, the demand from the fresh fruit markets in Mexico and North America remains strong, as do prices, ensuring that prices for oil have not fallen as many would like. 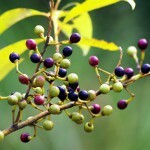 Now we are in the closed season, fruit availability will decrease, along with the fruits available for processing. This could mean that in the short-term we see some firming in price until we get a better assessment of the winter season, which starts in January. As mentioned in our last report, we still believe this one is better to cover now rather than take the risk of waiting to see what prices will do next. The crop has been difficult this year with output significantly reduced. This is having a direct impact on pricing, which today is at an all time high. More material should become available in Q4 but this will only give some temporary relief to those who have pre-booked. This year’s crop, which ended this month, has been reasonable but the availability of oil stocks remains low, as most of the harvest was pre-sold. As a result, we expect to see prices remain firm and possibly increase later in the year. Stocks are almost depleted at origin and will remain so until the new season starting in February 2016. Prices over the past months have increased around 20%. The situation remains as it did in our last report with inventory levels now at an all time high. This doesn’t reflect an over supply situation but instead a more controlled approach to meeting the growing needs of the market. All 2015 season material has already been sold and as a result prices in the market are rising. We are unable to get any firm offers from origin. There is no change to previous reports, as supply still remains very tight. This is expected to continue into the foreseeable future. Production continues to improve with good stocks now available at origin. This should remain in place for the rest of 2015. The situation remains unchanged. The markets remain difficult, as supply cannot get back ahead of market demand. There are waiting lists for volume at the moment and market prices are increasing as buyers’ struggle to secure their short-term needs. Pressure is likely to remain in place so it is advisable to plan ahead. Supplies have been limited but are available as harvesting and processing was completed recently. However, that said it is unlikely that these volumes will remain for long at origin with market demand strong. Demand remains very strong and despite a good crop there remains limited supplies available at origin. This is likely due to the growing demand, the lack of output from other producing countries and the increased demand for sclaireol. Today the major producers are stating that they are sold out with all material shipped or pending shipment to those customers who booked ahead. It is clear that prices will remain firm this year and into 2016 when it is hoped that by this time next year both Russia and other origins could be producing more to bring some relief to this situation. However, this is more wishful thinking at the moment and should there be any long term benefit to recent investments they are still a long way away and buyers should plan accordingly. This year’s production was a little late which was good news as demand also came late. In the end there was a good balance between supply and demand but if anything a little more oil would have been nice to ensure sufficient cover for the year. This spike in demand came by surprise as before the harvest began there appeared to be some volumes still available from the 2014 production. Today the markets are quieter with all material at origin sold. Supplies appear to be on top of demand with oil prices falling after a good crop. That said it isn’t without some confusion, as the fresh seed market prices still remain high. This suggests there is a price battle between the processors rather than a major change in the raw material situation but however artificial the reasoning for the downward price movement, it is very welcome for most. It is hard to speculate as to whether this pattern will continue or can be maintained at these levels. It could be that this price war continues or that oil prices reflect the raw material input costs and again return to higher levels. It is perhaps prudent to close 2015/16 contracts now knowing you’re making a good saving on early 2014 pricing rather than risk loosing out should prices start to increase again. There is an increasing shortage in the market as changes to local forestry laws have restricted harvesting. As a result, the major producers are only running at 50% capacity so with each passing month the situation appears to be getting worse. This is expected to remain the case for the immediate future until changes can be made in local legislation to increase the quotas for harvesting. There was little production across Russia this last season as earlier frosts damaged the plantations back in April. That said, there is still plenty of interest in oil from this origin and the small supplies that remain are likely to be sold soon. There is a sustained shortage of material from all origins, including South Africa, with very little likely to change in the near future. South African harvests have been few and far between this year due to a series of issues with the next planned harvest not until February 2016. This will bring some temporary relief to those who have already booked material but until more plantations are established the shortages are likely to continue. The new season will start late August with many anticipating an OK crop, with perhaps a small increase on last years fruit harvest. This perhaps won’t transpire into a significant change in the volumes of fruit processed but the South African crop will certainly be welcome for those who have become accustomed to their quality. There has been a small amount of harvesting this season, which will intensify over the coming weeks. With the global market looking for more competitive solutions this is South Africa’s opportunity to step up. Having said that, their total oil volumes are very small in comparison to other origins but they will still provide many clients with some alternative supply options. 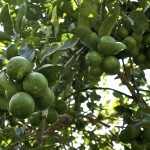 It is expected that this season South Africa will produce between 420-450 MT of orange oil. Price is stable and there remain some healthy supplies despite being in the closed season. The next crop will take place in May/June 2016 and it’s expected that prices will remain at today’s levels until closer to this date. The crop was disappointing as expected with Spain becoming a net buyer rather than a seller. As a result prices remain firm and are expected to remain firm for the next few months. This year was a record year for Spain with production reaching 1,065,000 MT. Spain now controls the fresh lemon market in Europe and also has the biggest influence on the oil market. 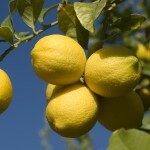 Good crop management and stable weather conditions have put Spain in control of fresh fruit and processed lemons. The markets have started to be more active following the European holiday season and harvesting of the ‘Verna’ type will start late October. Despite the good Spanish outlook, demand globally remains firm and, as such, oil prices are not expected to fall significantly, especially while fresh lemon prices remain firm. The Spanish crops have been terrible of late as to have other origins. The global situation for rosemary is difficult, which is likely to continue for the foreseeable future. This year’s crop was poor and demand is outstripping supply by a number of multiples. This is putting pressure on prices, which have risen significantly over the past 12 months. The next crop won’t take place until June 2016 so take cover as soon as you can! With the crops down almost 20% this year the pressure on supply remains in place today and for the foreseeable future. Whilst the area of fruit bearing trees has only reduced by 2-3% this year, the number of fruits per tree has fallen at a rate between 15-20%, largely due to the presence of HLB (Citrus Greening). The scenario is likely to stay with us for some time as the recovery process can take years and often it has to get worse before it gets better as the only answer can be to destroy infected trees and a large surrounding area – even if these tree today are healthy. Today the production volume for 2015 remains at 12.95 million boxes. The net results are having a string direct impact on pricing with limited amount of oil currently available. 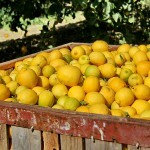 The lemon harvests were completed for the year in July and final numbers show a 6% increase in fruits from last season. 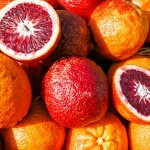 It is expected that a similar volume of fruits to last year will be available for processing which is around 260,000 MT. The situation remains unchanged from our last report. Having experienced their worst crop in almost 50 years, supplies remain difficult and prices firm. This is likely to remain the situation until well into the new season starting in February 2016. This year’s crop is expected to total 96.4 million boxes down on 104.7 million boxes last year and 133.6 million boxes in 2012/13. This year’s production was low due to unfavourable weather conditions resulting in a number of crops dying. This will have both a short and long term impact on the availability.